Members Near Me Notification - Reduce to 50 miles? Should I reduce the "Near Me" notification emails to only include new members that are within 50 miles (80 km) of your location rather than 100 miles (160 km)? 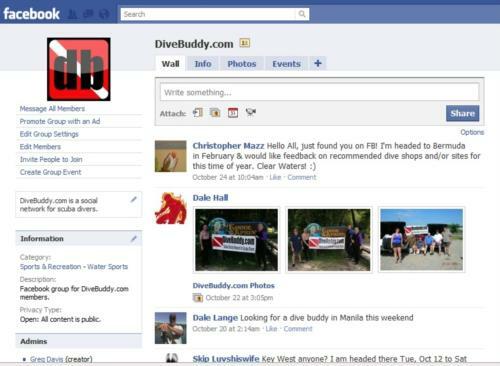 This will reduce the number of email notifications you receive when new members join and may be more in line with the distance people are willing to travel to meet a new dive buddy. #1 Yes, reduce from 100 miles (160 km) to 50 miles (80 km). [Choose #1] ....so many divers in the metro Phoenix area, 50 miles is a big enough pool! [Choose #2] I live in rural North Dakota and know just about everybody within 50 miles and none of them dive. [Choose #2] 160kms isn’t far to drive for a weekend away. [Choose #2] I think BeekeeperGreg’s idea of being able to choose would be best if it could be worked out. Like other input mentions, it also depends on your location. Like myself for example, I think there’s only 5 divers within 100 miles of my home. [Choose #3] Agree with selectable. Personally, someone near a dive site I frequent is just as good as someone nearby. [Choose #2] 100 miles is ok with me !!! [Choose #3] Make it selectable. I think it really depends on your location. Somebody in Montana may want to set it to 500 miles and somebody in NY may want to set it to 50 blocks. [Choose #1] I think making it adjustable with 50 miles as the default would be the best. Adding 6 of these Clear Blue Hawaii canoe’s for the family members that don’t dive! Follow Us!